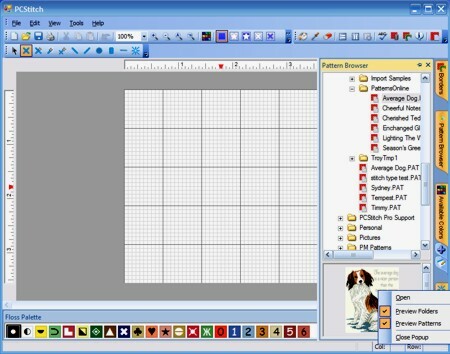 The Pattern Browser panel allows you to easily step through the folders on your computer to find pattern files that you may want to work with. The top part of the panel lets you choose folders and the bottom section previews the content. If you select a pattern, you see a preview. If you select a folder, you get a thumb nail view of all the pattern files in the folder. From the preview panel, just right click the pattern you want and open it.